DDLBiz Portable Laptop Table Adjustable Multifunctional Mount Stand Reading Holder (Black) by DDLBiz at Pacs BG. Hurry! Limited time offer. Offer valid only while supplies last. 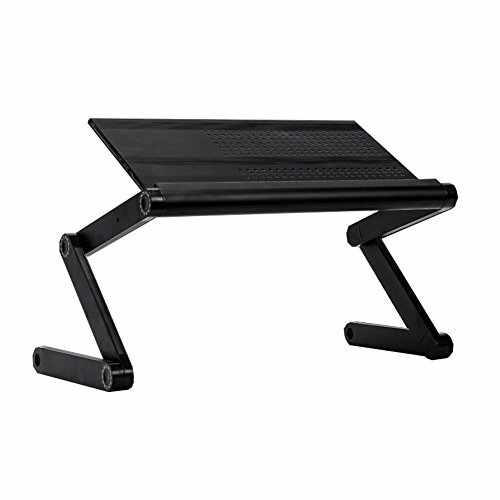 Light weight：High strength aluminum tray, sturdy fully adjustable legs，Makes Carrying Easy and Holds Your Computer Firm and Steady. Multifunctional： It acts as a multifunctional laptop workstation, a standing desk for office work, - a TV tray for snacking, a laptop bed stand for relaxing in bed, - or a book/tablet stand.